It is development of a strong mind and body. Patience, concentration, attention to detail, spirit and humility are essential. Checkout our photos just posted in the Photo Gallery Section New Photos just added!!! This is the 44th Year since our "The SOCATKDA" founded by Grand-Master Steinhauser. 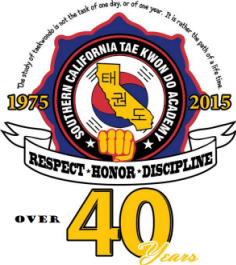 "Life is a Series of Moments in Time "
"TaeKwonDo And The Younger Student "
" Beginning TaeKwonDo Training, Part II "
** We also offer specialized classes such as; Women's Self-defense, Children's Self-defense and Safety, Corporate Classes, and Non-violent Crisis Intervention. If you are interested click here. Site designed and maintained by MPI Computers. All rights reserved.